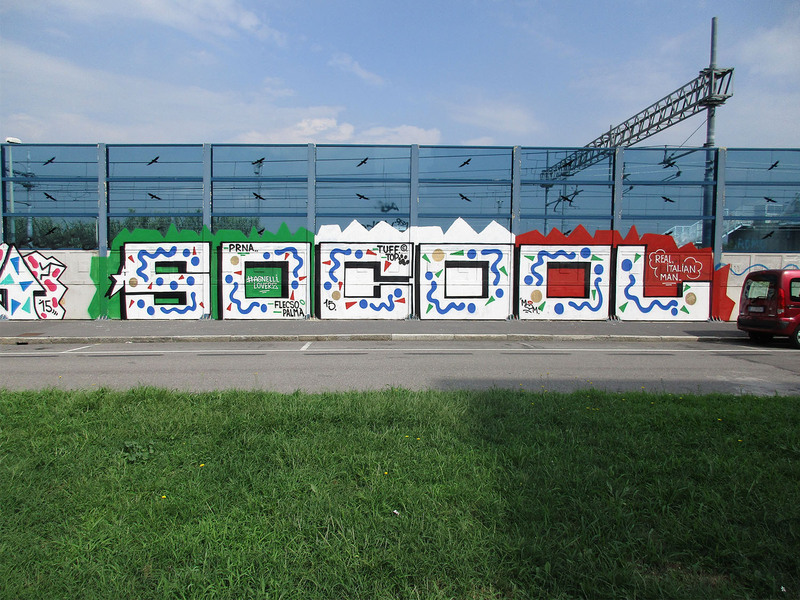 SOCOOL’s roots develop in the instinctive trace of the most authentic graffiti. 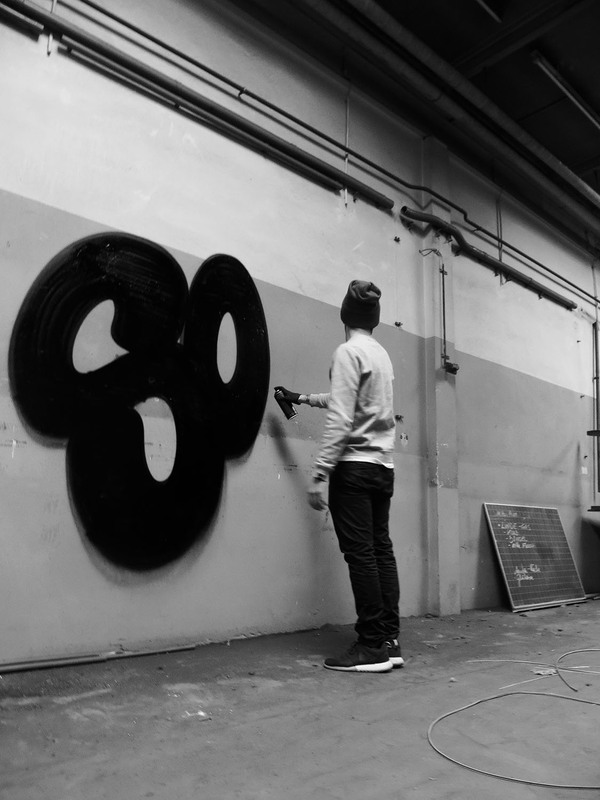 In his now 10 years of activity, he has been influenced by some of the best european and american graffiti writers of our present times. A personal and artistic path dictated by a free spirit raised roaming allows him to expand his art in other disciplines and spaces, like visual arts, illustrations and fashion design. Multiple are the influences of the artist. Old school graffiti, Pop Art, criminal tattoos, Western culture and Scandinavian graffiti to mention some. Following a non academic research, but a strongly and deliberately street influenced one, SOCOOL’s pieces are raw, instinctive, rapid but in the meanwhile profoundly essentially clean. An obsessive research of perfection of styles claims the personality of the artist that, constrained to the magnification of combining opposites, investigates in his pieces the ideal marriage between “soft” and “rigid”. The minimum use of shadings, the confident and large outline, the basic platter of colors (red, greens, blues and yellows) mixed with black & white reconnect to the authors fond passion of the american culture of the 60’s, 70’s and 80’s. 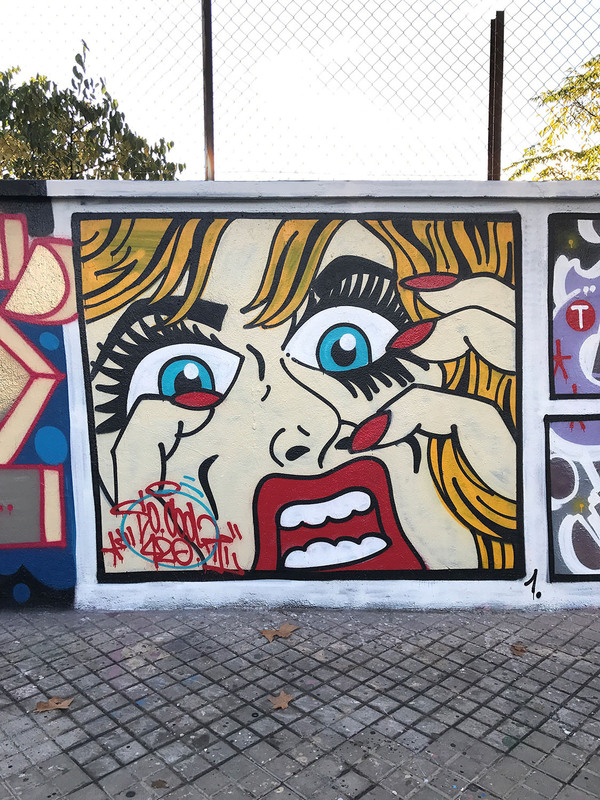 The mix between Harring and Lichtenstein, the love for Italian comics from the 60’s as well as the love for his childhood toys, reappear in his evolution; a dynamic evolution that doesn’t paralyze in one style but spaces out in variations, allowing himself to be considered as a real style wizard.